Located next door to "Addicted to the Bean Coffee House"
Filthy Rich is an international company with outlets in over 30 locations across the USA, Canada and Europe. 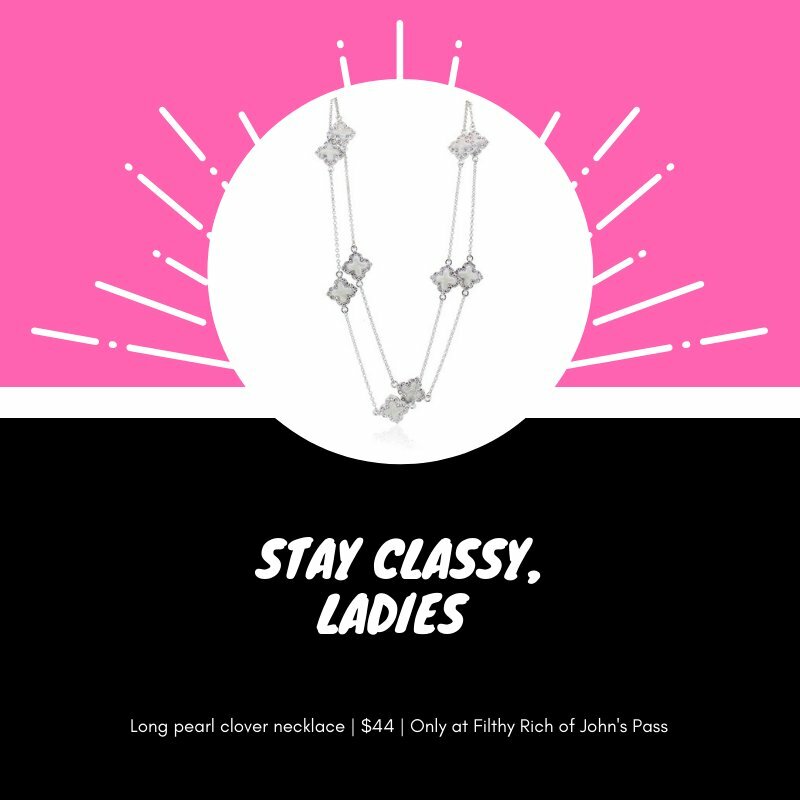 Filthy Rich specializes in exclusive authentic replicas of iconic jewelry and accessories seen worn by legends of the past, as well as fun chic items inspired by today's biggest celebrities. We 💖 customer photos! 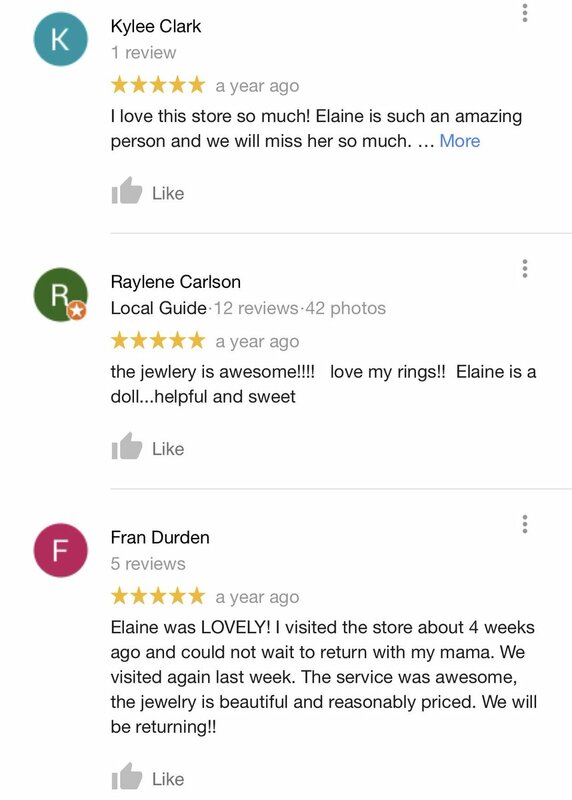 This customer loved our Rachel Bilson ring so much that she had to have a picture wearing it. Come into John's Pass and take an additional 15% off the listed price of $36! It's official- we have the world's best customers. We appreciate the kind words. You all rock! Are you gaga for Gaga? Are you obsessed with "A Star is Born" (honestly, who isn't)? We've got you. Pick up a CZ ring inspired by Lady Gaga herself for just $36 at Filthy Rich of John's Pass. How to go from casual to classy instantly: put on our designer-inspired clover necklace. It's that easy. Sparkle and save! Take 10% off the entire store, now through Dec. 31. Come find that perfect gift or statement piece for all your holiday parties this season. Elaine I picked up my ring! I love it! Thank you so much for holding it. I missed seeing you, but hope you are having a great time! Green is the new black. Welcome to Green Monday- the best day for sales in December. At Filthy Rich of John's Pass, we're giving you 10% off and free CZ studs with your purchase, today and every day through the end of the year!